Friends and family of Goshen College students gathered on Wednesday, Jan. 9 in the Union building to say goodbye to the two spring Study-Service Term (SST) units. 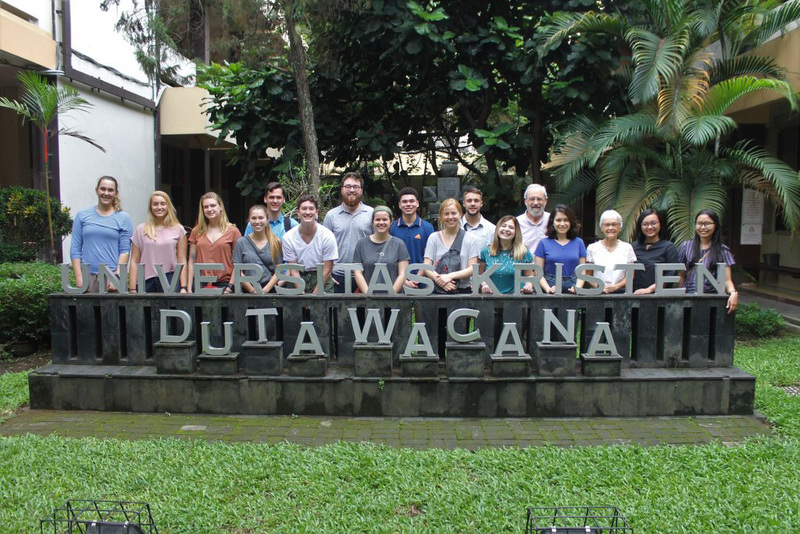 The first SST group departed campus for Lima, Peru at 2:30 a.m., and the second left at noon to Yogyakarta, Indonesia. The 13 students heading to Indonesia are the first group to do so since 2001. The Indonesia SST has replaced Cambodia as a location in Southeast Asia. Tom Meyers, director of international education, said that the hiatus was a result of the September 11 attacks. “After 9/11 happened, the U.S. government put a travel warning on Indonesia,” Myers said. Now that the travel ban is lifted, Goshen College anticipates more Indonesia units in the future. Meyers’ hope is for Indonesia to be offered in a three-year cycle, rotating with Tanzania and China. Marris Opsahl, a junior social work major and English minor, admits that she was excited to visit Indonesia, but nervous about the travel. “It was a 10,000-mile trip that took about 37 hours with a short connection in Qatar,” Opsahl said. Members of the Peru group are experiencing similar adjustments. Makena Zimmerman, a junior biology major with a peace, justice and conflict studies minor, admitted that she was wary about studying in Peru. “I was afraid of things like being unable to communicate well or use public transportation correctly,” Zimmerman said. 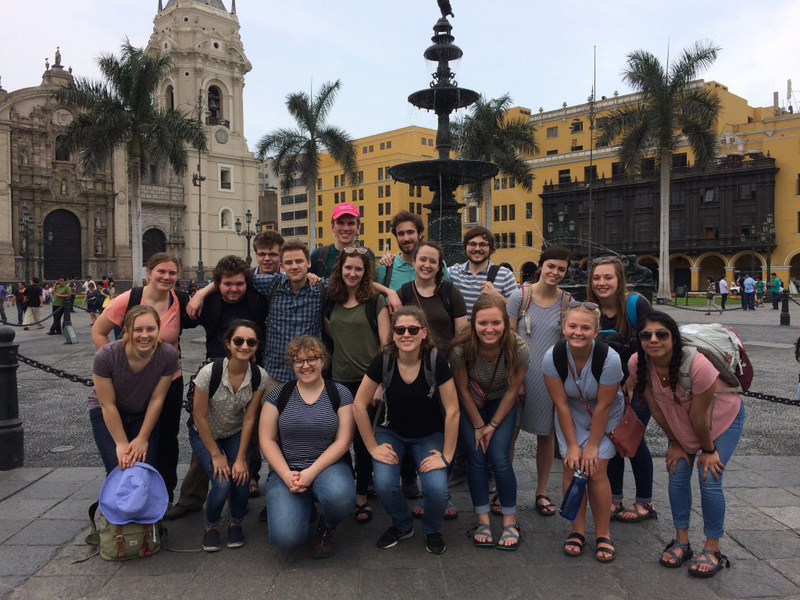 However, she also said that the Spanish classes at Goshen College had been “good preparation for Peru” and that she is still continuing to learn the language along with her SST group members. Both groups have already met and have begun settling in with their host families. Erin Graber, a sophomore accounting major who is a part of the Peru SST group, spoke about her immediate connection to her host family. “My family consists of just my parents, Evy and Fernando, who are actually more like my siblings because they are about 10 years older than me,” said Graber. Both SST groups will be studying the language and the culture of their locations. The first six weeks will consist of group activities and study. The Peru group will spend this time in Lima and the Indonesia group in Yogyakarta. After these six weeks, the students will divide into smaller groups and be relocated to a service site for a more individual experience. Both SST groups are expected to return in early April. More details on the exact date will be announced as the semester progresses.